If you’re looking to start selling your handmade items, chances are the first place you’ll think to investigate is Etsy. However, there are many alternative marketplaces springing up online and some of them are well worth considering. Many sellers choose to list their products in more than one place so you might want to explore a few options. We’ve put together this list of 10 Etsy alternatives in the UK to help get you started. Internet giant takes on the handmade world. Amazon, the world’s largest internet retailer, launched it’s very own ‘Handmade’ section in 2015 as a direct competitor to Etsy. When this was first launched, there was much discussion as to whether this would be the end of sites like Etsy – it was even described as an ‘Etsy-killer’. This hasn’t proved to be the case, however, as many sellers (and indeed buyers) have found that they prefer the more personal feel of Etsy, even with the promise of the extra traffic that Amazon Handmade brings. There is a strict vetting process to ensure that your products come under Amazon’s definition of handmade. However, if you make it through this process, you’ll be rewarded with exposure to Amazon’s huge and loyal audience. 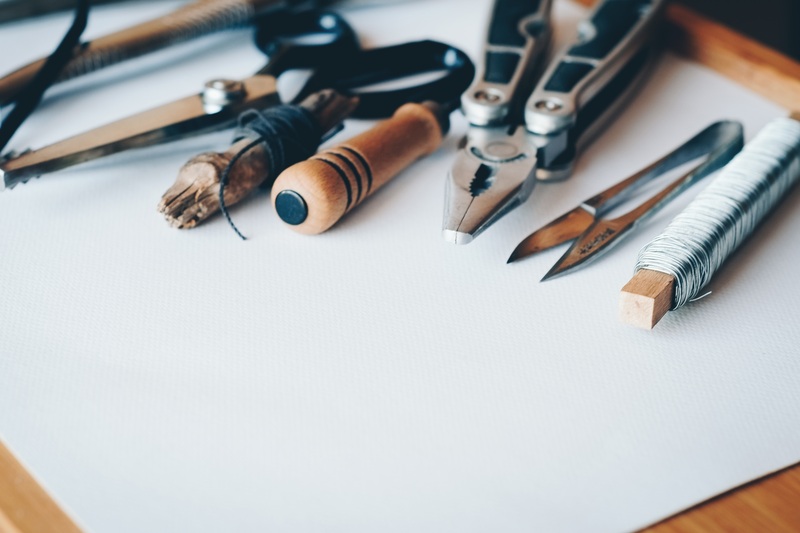 Even though Amazon Handmade certainly hasn’t been the end of sites like Etsy, the combination of the familiar and trusted Amazon shopping experience combined with genuine handmade products has proved successful for some sellers. The Friday-Ad has been around since 1975 and was the UK’s first free classified paper. Nearly 20 years later, friday-ad.co.uk was launched and it now attracts around 2.3 million visitors every year. It is still based on the same passion for upcycling and recycling and is a great place for sellers to set up a shop and sell their handmade goods. You can list items for free and if you want to, you can set up an online storefront which includes a personalised profile for your business. There is much more flexibility on the items that can be uploaded compared to sites like Folksy or Cargoh. When you’ve sold an item, payments can be made through the site and sophisticated moderation systems are in place to take care of any attempted scams. High quality and unique handmade products. This popular handmade goods site was founded around 10 years ago now and over 5,000 small and creative businesses sell their products through the site. Not on The High Street has a very high threshold for the standard of product that can be sold through the site. You’ll need an excellent standard of product photography too. However, some sellers have found a lot of success through the site. While there is a fee to join and the commission is quite high, sellers are repaid with a high standard of marketing. Many sellers feel that the extra cost of this platform and the high standards set are worth it because of this. Marketing campaigns often include magazine promotions, gift guides, radio, billboards and even TV ads. The standard of customer service offered to both sellers and buyers is generally high and some sellers are even eligible for a dedicated account manager. The Instagram-eBay hybrid taking the millennial world by storm. Depop is often cited as being a favourite among millennials due to the Instagram-like social aspect. It is an app that allows sellers to quickly upload products and then buyers can bid on them, much like eBay. There is a very particular market using Depop and many teenagers and twenty-somethings find and sell designer clothing on the app. It is often described as being a hybrid of Instagram and eBay. What sets Depop apart is how easy it is to use and how intuitive it is for a generation used to ‘liking’ and swiping and messaging. You can ‘follow’ different sellers, leave comments and ‘like’ products much in the same way that you would be able to on Instagram. This is a step removed from the more traditional Etsy-style buying and selling sites, however, if your items have a young target market, it could be worth a try. Handmade items from the UK. Folksy is sometimes described as being the UK equivalent of Etsy. It was founded in 2008, so it hasn’t been around quite as long as Etsy and is much smaller. It operates in much the same way as Etsy in that you pay a small amount to list an item and then Folksy takes a small commission on each sale. There is another option to pay a monthly or yearly flat fee for unlimited listings which is better suited to those who have more items to sell. Folksy currently only offers support for UK sellers. As with many of these sites, it’s free to get started and set up your own personalised shopfront. The focus is on handmade items and craft supplies (you can’t sell vintage items on Folksy unless you have altered or refurbished them in some way). They also have a blog and a weekly gift guide that gets sent out to over 50,000 buyers which is a great marketing opportunity for sellers. An online marketplace with a strong community. Storenvy is different to Etsy in that there aren’t any listing fees. You can put 500 product listings up for free and you get your own customisable storefront. The commission is, therefore, a little bigger than it is on Etsy but at least you won’t get charged for listing a product if it doesn’t sell. You have two choices as to how you can sell your products on Storenvy. You can create your own online store which you can customise or you can have a marketplace on their site. Investing some time in creating a professional looking storefront could be well worth it and you can also get a custom domain for a relatively low price. Storenvy also has a useful function which enables shoppers to search by brand which could help you build your own audience. There is also a strong community on the site and sellers actively recommend each other’s products. Highly curated platform for high-quality handmade items. Uncommon Goods has been around a little longer than Etsy but has only just expanded to the UK. Not much is given away about the selling process on their site. They have a team of buyers who scout out the products to be sold on the site but you can submit your products to be considered yourself. The site is very much designed for buyers and is missing the community of sellers that you get on sites like Etsy or Storenvy. However, this is sacrificed in the face of the quality of the products and the user experience of the site. If you manage to get through the vetting process, this could be a very profitable site to feature on. The site itself is more user-friendly than some of the other platforms out there and products are regularly included in gift guides. This site could be a great opportunity for sellers of high-quality products in the UK. An easy-to-use platform with low fees. This site may not look as slick as competitors like Etsy, however, it is often included in lists of top selling sites. This is because it is still a user-friendly site with simple navigation so buyers can find what they’re looking for and sellers can upload products easily. It is free to start your own shop and it costs 20p per listing. Unlike Etsy, these listings won’t expire if the item doesn’t sell within a certain timeframe. The commission for each sale you make is 2.5%, which is relatively low compared to competitors. The guidelines as to what you can sell on the site are also less strict than they are for the likes of Uncommon Goods or Not on The High Street. This is a great option if you’re looking for a no-fuss platform. Sellers have also reported that the customer support is also very good. A social marketplace with high standards. Cargoh describes itself as a ‘curated social marketplace for independent creatives’ and celebrates unique and handmade products. They are quite selective about the products that they allow to be posted to their site so it’s well worth looking through their guidelines before you apply. The standard of your product photography will also need to be pretty high if you are to be accepted. Sellers have reported that their products have been rejected because there was already a similar item listed on Cargoh, so what you’re selling really will need to be unique. However, Cargoh is keen to make its platform work for both buyers and sellers and its audience is already very loyal. Another benefit is that Cargoh doesn’t charge you to list products, you will only be charged once you’ve made a sale (the commission is 10% of sales). Cargoh is still quite new, so even if you’re not tempted to use it straight away, this is a site to keep an eye on. Great design and a worldwide audience. Dawanda is a real competitor for Etsy in terms of size and what you can do with it. There are over 5 million products currently listed on the site and many of these are customisable. The site reports that it receives around 200 million page views every month. Most of the visitors are from Europe and the platform offers support for worldwide shipping. If you choose to sell with Dawanda, you’ll get a free online shopfront which you can personalise. You’ll also get statistics reporting on how well your products are doing. Dawanda also offers its some sellers some great marketing opportunities. If you’re lucky, your products could be included in one of the PR campaigns or newsletters. The site is also optimised for search engines. The function for searching by gift type is particularly good on Dawanda, allowing buyers to search by person, occasion, interests, trends and price.